High performance and advanced security for WordPress execution environment. KUSANAGI delivers 10-15x the speed of the default LAMP stack, without page caching with 1-click launch. In addition, Business Edition provides a multitude of solutions. 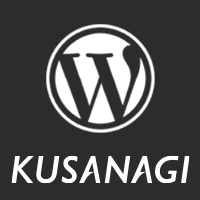 In addition to high performance and advanced security, KUSANAGI for AWS Business Edition (WordPress) also provides a multitude of solutions necessary for running open source-based web systems at an enterprise level with 1-click AMI. With the Business Edition's performance guarantee for WordPress 5.x versions, CentOS7 module updates until EOL, and other features, open source systems can continue to be used with confidence. KUSANAGI offers security through the fastest possible feature updates, and responds to business users' sophisticated needs. Increase WordPress performance. KUSANAGI delivers 10-15 times faster than the LAMP stack, without page caching. Robust security with WAF, IPS/IDS, SELinux, TSL1.3, the Vuls vulnerability scanner and TLS1.1 and older disabled.